In this article we will be discussing about ways and techniques to read word documents in Java using Apache POI library. The word document may contain images, tables or plain text. Apart from this a standard word file has header and footers too. Here in the following examples we will be parsing a word document by reading its different paragraph, runs, images, tables along with headers and footers. We will also take a look into identifying different styles associated with the paragraphs such as font-size, font-family, font-color etc. The class XWPFDocument has many methods defined to read and extract .docx file contents. getText() can be used to read all the texts in a .docx word document. Following is an example. 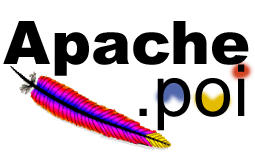 Apache POI provides inbuilt methods to read headers and footers of a word document. Following is an example that reads and prints header and footer of a word document. The example .docx file is available in the source which can be downloaded at the end of thos article. Among the many methods defined in XWPFDocument class, we can use getParagraphs() to read a .docx word document paragraph wise.This method returns a list of all the paragraphs(XWPFParagraph) of a word document. Again the XWPFParagraph has many utils method defined to extract information related to any paragraph such as text alignment, style associated with the paragrpahs. To have more control over the text reading of a word document,each paragraph is again divided into multiple runs. Run defines a region of text with a common set of properties.Following is an example to read paragraphs from a .docx word document. // Returns numbering format for this paragraph, eg bullet or lowerLetter. Following is an example to read tables present in a word document. It will print all the text rows wise. Styles are associated with runs of a paragraph. There are many methods available in the XWPFRun class to identify the styles associated with the text.There are methods to identify boldness, highlighted words, capitalized words etc. Following is an example to read image files from a word document.